If you’re looking to bulk up, you want to do it with lean muscle, not fat. This can be tricky; losing weight is a fairly straightforward formula of calories in versus calories out. Adding muscle, however, takes a little more science and determination. Gaining fat is all too easy, as we can see by merely looking around us. Gaining muscle and having low enough body fat to reveal that muscle is a whole other ballgame. Ben Pakulski (photo) was born in Toronto, Ontario, Canada, and developed a passion for health and fitness at a young age. He began bodybuilding in his teens, and by the age of 27, he was crowned Mr Canada. 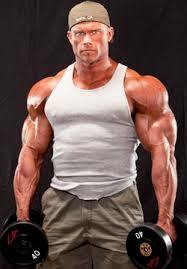 He is an International Federation of BodyBuilders (IFBB) champion, and has competed all over the world, including in the prestigious Arnold Classic and Mr Olympia contests. Ben studied kenesiology and biomechanics at the University of Waterloo, and understands the way the human body works. He used this knowledge to create MI 40, a nutrition and exercise plan to decrease body fat, increase muscle definition, and provide that “cut” look that is so desirable. MI 40 is a strength training and muscle building program that teaches the user how to achieve optimal results in the shortest amount of time. The number 40 is the basis of everything: 40 days of the program, which entails 40 second sets with 40 seconds of rest. There are 40 different exercises in the program. Instead of lifting ever increasing weights, MI 40 uses muscle tension to create strength and definition. The weights don’t increase as quickly as they do in less efficient training programs; the method of holding the weight and contracting the muscle is what is different. To Ben Pakulski diet is as important as exercise when it comes to building muscle. The plan provides six weeks of planned nutrition to lower body fat and feed your muscles what they need to grow. Muscles only shrink on calorie-restricted diets; they need to be fed optimal amounts of protein, complex carbohydrates, and clean fats in order to repair themselves after working out. Who is MI 40 for? Perhaps you were the skinny kid who was always picked on because you were small. 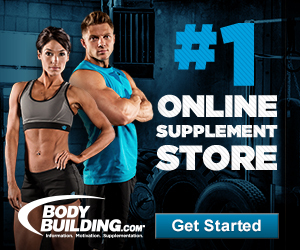 Or maybe you recently shed a great deal of fat to reach your goal weight. In either case, your body lacks definition, which can only be achieved through the building of muscle. 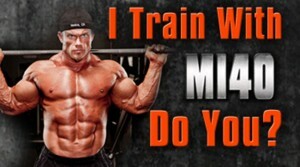 That’s why Ben Pakulski created MI 40 – to help people achieve optimal definition in a healthy, achievable manner. Muscle not only gives you that “cut” look that makes bathing suit season a celebration instead of a torture; it helps you maintain weight loss by constantly burning calories. This is why people looking to add muscle must feed their bodies more than those seeking to drop pounds. It’s a delicate dance of too much versus too little! 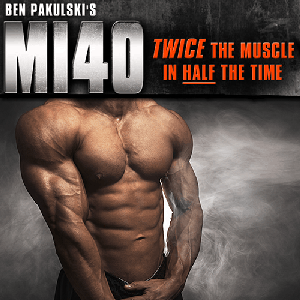 The Ben Pakulski MI40 is for both men and women looking to take their health and fitness to the next level. You can read my Mi40 review here.